Taekwondo training is a great way for adult students to get into shape while learning an excellent form of self-defense. Forms are patterns of moves designed to teach students increasingly complex marital arts skills and techniques. You may also hear Forms referred to as Hyungs or Katas.Each belt level has its own Form that a student will learn when he or she passes testing and receives that new belt level. The expectation for how the techniques in each Form are performed increases also. A new student, performing their white belt form, will not be expected to have the same precision of stances and sharpness of technique that a black belt student should demonstrate when they do their black belt form. The goal is for students to show gradual improvement over time as they progress through the belt levels. Sparring as a Taekwondo America student involves using controlled defense and attack techniques with light contact in short bouts with a partner in a safe environment. It helps prepare students to defend themselves in a real life situation. Sparring is introduced into a student’s training gradaully starting with One-Steps for white, yellow and orange belt students. The One-Steps are short combinations of moves a student uses as a defense against an attack. Some orange belts, and all green belts and up participate in free sparring. Free sparring allows students to practice defensive and counter-attack techniques in a safe and controlled environment. For safety, all sparring level students are required to purchase and wear approved TA co-branded gear. At brown belt (after a year of training in taekwondo) board breaking becomes part of a student’s testing and allows students to demonstrate their speed and power. The size of the boards students are required to break vary based on the student’s age. Am I too old to try taekwondo?We recommend that you talk to your doctor any time you are considering starting a new workout program. Your general health and your fitness goals may be more important than age alone in deciding if a martial arts workout program is right for you. However, you do not need to “get in shape first” or have a background in martial arts to start taekwondo. The Taekwondo America program is designed to help you gradually increase your fitness level and martial arts skills, whether you already work out at a health club regularly or never quite found the time to start exercising. While most students in the teen/adult program are in their teens, 20’s and 30’s, our program does have adult students who started taekwondo in their 40’s and 50’s and who have increased their flexibility, fitness level and ability to defend themselves. How many times a week should Taekwondo America students participate in class? We recommend 2-3 classes a week consistently for the best results. And most Taekwondo America schools offer flexible class schedules to accommodate today’s busy families. 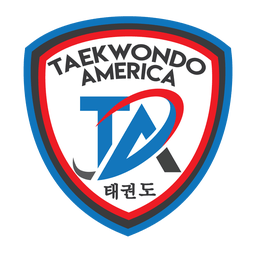 Tournament entry fees Taekwondo America t-shirts Special interest seminars Black Belt camp Other Taekwondo America sponsored events Merchandise such as a student handbook, TA forms DVD, targets, etc. How does a student get from a white belt to a black belt? Taekwondo America schools hold a formal testing every two months (typically in the even numbered months) to determine if each student has learned the skills in class that are expected of a student of their rank. If they perform successfully and pass testing, they will be awarded the next belt up in rank. Testing is a process where the chief instructors evaluate the skills of the student to determine whether they are ready to progress to the next level of training. What is required to pass testing increases as a student increases in rank. Students who are black belts are expected to perform with greater precision and power than beginning level students. It is mathematically possible to become a Black Belt in two years. However, it often takes longer to attain that rank. But remember, Black Belt is just the beginning, not the end of the martial arts journey ­– there are more levels of Black Belt than there are of color belts. A Black Belt indicates that the martial artist has now become a dedicated student of Taekwondo, ready to begin serious training.